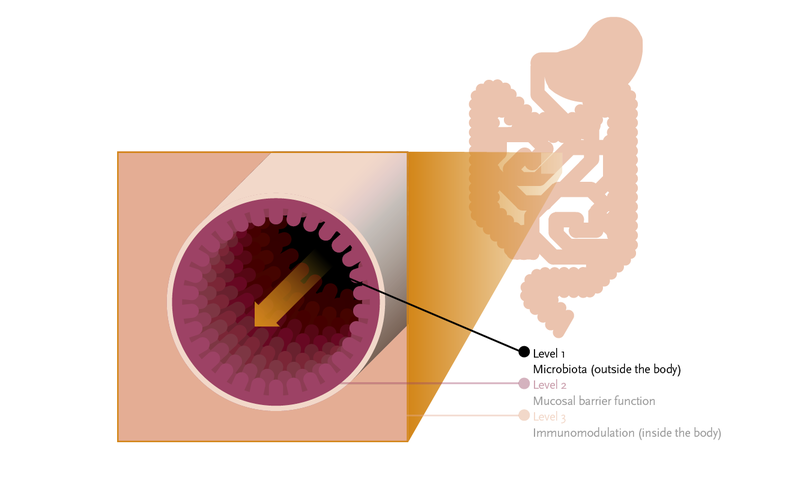 Figure 1: Ecologic® RELIEF is a multispecies probiotic specifically developed to enhance bowel movement (level 1)and hereby reduce constipation. produce lactic acid to improve the motility and peristalsis of the intestine1 (level 1). Constipation is one of the most common gastrointestinal conditions affecting 12-27% of the general population.2 Constipation can be a temporary or chronic problem. Chronic constipation often starts already during childhood. The cause of constipation is often unknown. Mechanisms thought to play a role are a reduced peristalsis and a shift in the intestinal microbiota.3 It is suggested that the intestinal microbiota of constipated persons is in dys­biosis. It for example contains higher concentrations of Clostridia and Staphylococci compared to the intestinal microbiota of non-constipated persons.4 Currently, (childhood) constipation is often treated with laxatives. Unfortunately, 40% of these children do not react well to this treatment.5 Research has shown that probiotics improve whole gut transit time, stool frequency and stool consistency and can soften stools by stimulating water- and electrolyte secretion, indicating a beneficial effect.3 6 Administration of probiotics are a promising and effective treatment for constipation. Ecologic® RELIEF has been tested in a clinical study, organised in collaboration with the Children’s Hospital of the Academic Medical Centre of the University of Amsterdam. Twenty children suffering from constipation used the product for four weeks (once daily). Results showed that Ecologic® RELIEF was able to induce a significant increase in the amount of bowel movements per week, a significant decrease in the amount of abdominal pain and a significant decrease in the amount of faecal incontinence (dirty underwear). No side effects were reported6 (figure 3). Figure 3: Ecologic® RELIEF is able to significantly increase the bowel movements (A), decrease the faecal incontinence (B) and decrease abdominal pain (C). Bekkali N. et al. 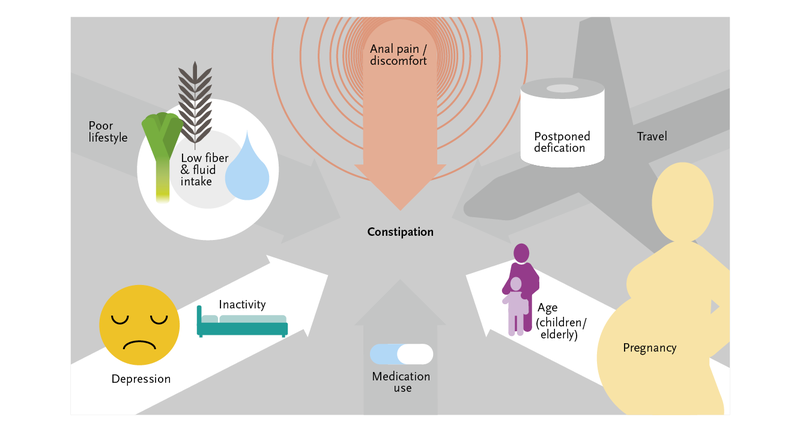 The role of a probiotics mixture in the treatment of childhood constipation: a pilot study. Nutr j 2007;6:17. De Milliano I. et al. Is a multispecies probiotic mixture effective in constipation during pregnancy? A pilot study Nutr J 2012, 11:80. 1. a. b. Bekkali N. et al. The role of a probiotics mixture in the treatment of childhood constipation: a pilot study. Nutr j 2007;6:17. 2. Higgins P.D. et al. Epidemiology of constipation in North-America: a systematic review. Am J gastroenterol. 2004;99:750-759. 3. a. b. Picard et al. Review article: Bifidobacteria as probiotic agent-physiological effects and clinical benefits. Aliment Pharmacol Ther. 2005;22:495-512. 4. Zoppi et al. the intestinal ecosystem in chronic functional constipation. Acta Paediatr. 1998;87(8):836-841. 5. Voskuijl W. et al. PEG 3350 (transipeg) versus lactulose in the treatment of childhood functional constipation: a double blind, randomized, controlled, multicenter trial. Gut. 2004;53:1590-1594. 7. a. b. De Milliano I. et al. Is a multispecies probiotic mixture effective in constipation during pregnancy? A pilot study Nutr J 2012, 11:80.